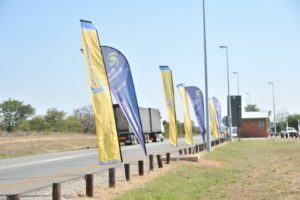 The Cross-Border Road Transport Agency (C-BRTA) exists to improve the cross-border flow of commuters and freight operators who make use of road transport. Its function as an interstate operations agency is to reduce mobility constraints for road transport operators, in the form of regulating market access and issuing cross-border permits, while facilitating sustainable social and economic development in the Southern African Development Community (SADC) region. The C-BRTA is proud to have remained the driving force behind the region’s cross-border business focus for more than 20 years. To be a champion of free-flowing interstate operations. To spearhead the unimpeded flow of interstate operations, thereby facilitating sustainable social and economic development.